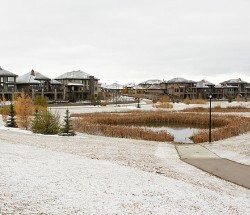 Haddow lies within the Terwillegar Heights servicing concept plan area. 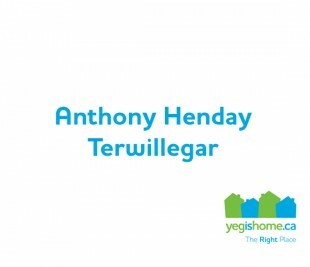 It is located in the southwestern portion of the City of Edmonton, to the south of the developed residential neighbourhoods of Henderson Estates and Falconer Heights, and between Terwillegar Drive and the North Saskatchewan River. 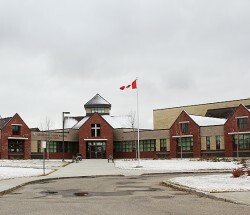 The plan for Haddow was approved by Council in 1993, and the neighbourhood began to undergo construction in the late 1990s. Prior to urban development, the land was in agricultural use. 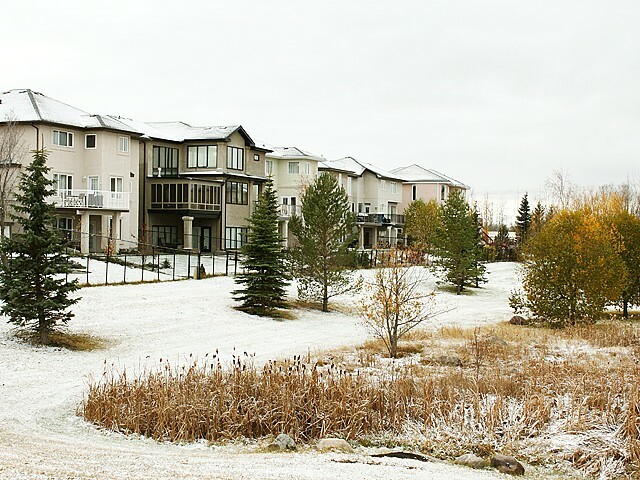 Haddow is predominantly a low-density residential neighbourhood, and single-detached units are the most common housing form. Medium-density multi-family housing sites are located in the south and eastern portions of the neighbourhood, adjacent to the collector road. 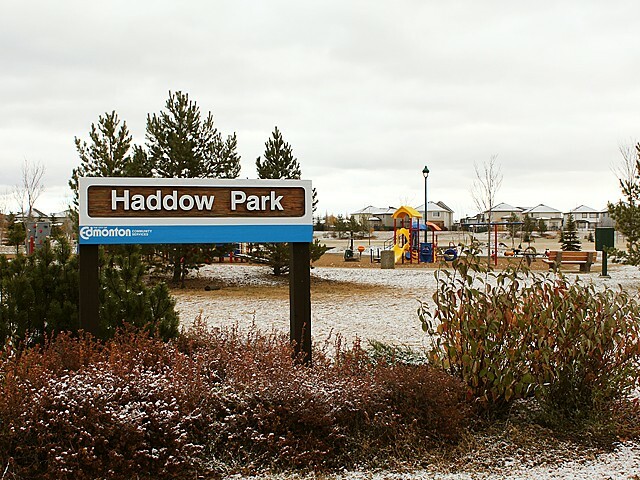 The neighbourhood’s stormwater management system complements Haddow’s open space plan, and a series of strategically located pathways provide connections for pedestrians throughout the neighbourhood. 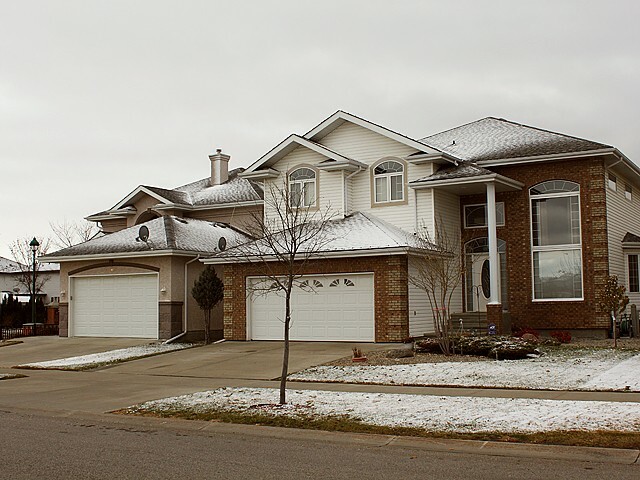 Major access to the neighbourhood is provided from Terwillegar Drive and Riverbend Road. The interior circulation network consists of a looping collector road, along which a series of cul-de-sacs and inner streets are oriented. 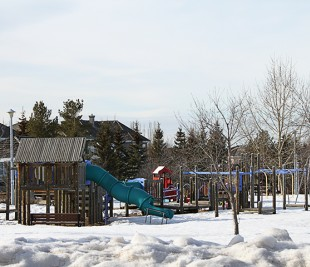 A school/park site is located in the centre of the neighbourhood, and the Solicitor General Staff College property is located in the northwestern corner of the neighbourhood, adjacent to the North Saskatchewan River. The Haddow neighbourhood is named after Albert Walker “Bert” Haddow, who was Edmonton’s city engineer for 40 years. Hailing from Ontario, Haddow moved to Edmonton in 1910 to work for the city engineering department and became the head city engineer in 1919. Haddow oversaw the construction of bridges, roadways, and underpasses during his tenure, but he is most famous for supervising the construction of the city centre airport. Haddow was also instrumental in developing the Riverside golf course and was a strong proponent of transforming former landfill sites into recreation areas.